If data is the "new oil," then metadata is the barrel that the oil needs in order to be useable. And more executives are beginning to understand that - which is why automation and machine learning in metadata management will, we believe, be a focus of many more business users in the coming year. Metadata - the "information about data" that, among other things, classifies it by name, tag, date, type, etc. - makes it possible to search for data by category, relationships, etc. Without metadata, information in databases would be of very limited use. With more data than ever to manage, organizations are turning to automation to discover, classify, and safely store the data they have, enabling them to more easily build a metadata framework around it. The move to automation in managing metadata isn't just a matter of convenience. Privacy and security regulations of the GDPR, California's CCPR, HIPAA, etc. - require organizations to have full control over the data they have, and full knowledge over how it is used, and. In addition, the huge amount of data that is being collected today, thanks to IoT and advanced devices, guarantees that without automated metadata management organizations will be unable to build data catalogs, maintain business intelligence best practices, or even make sense of the huge reams of data they are collecting. For example: What does the metadata label "account type" refer to - the size of the organization? the industry? non-profit or commercial status? Regulations require that organizations be able to answer that question without hesitation - and failure to comply could entail massive fines and other penalties. And in these hyper-competitive times, being able to quickly extract meaning and context from data becomes more important than ever. Unfortunately, the traditional BI infrastructure, including ETL, DB, analysis, and reporting tools. that have been used to manage metadata are not up to the task. But now there are new is big data-based tools based on machine learning, developed algorithms, and automation to enable BI teams - to work with metadata more efficiently and effectively. Just in time; until now, much of that BI work was done manually, requiring weeks or even months to answer questions that the regulations require immediate responses for. Hence the growth of automation and machine learning in metadata management. Organizations don't want to risk violating the new - and growing - number of regulations on data quality and accuracy. To ensure compliance, organizations will focus on incorporating new technologies, with machine learning chief among them. ML will continue to play a bigger and bigger role in the fields of metadata and metadata management in 2019 and beyond. 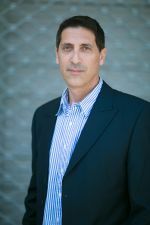 Amnon has over 20 years of leadership experience in technology companies. Before co-founding Octopai he led sales efforts at companies like Panaya (Acquired by Infosys), Zend Technologies (Acquired by Rogue Wave Software), ModusNovo and Alvarion, and also served as the Chief Revenue Officer at CoolaData, a big data behavioral analytics platform. Amnon studied Management and Computer Science at the Open University of Tel Aviv.